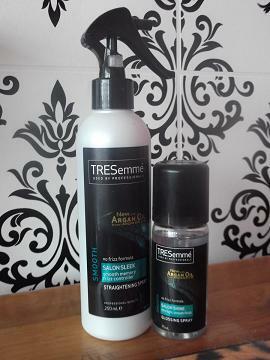 TRESemme is a brand I've always been told to stay away from by hair dressers because the products aren't that great. 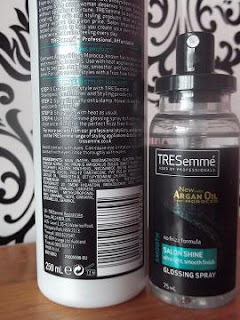 Now I'm not one to judge someone by their profession but I love Tresemme products especially their heat protection spray as I can really tell the difference when I have and haven't used it. I'm a religious user of heat protection spray when I straighten, curl or blow-dry my hair as I always put off going to the hairdressers for a trim. I usually reach for the purple spray from Tresemme as I just found the GHD and Paul Mitchell products to expensive to upkeep with hair masks and oil on the side too. But this is just as good, if not better at not only protecting hair but also keeping frizz down. It claims to be able to 'train hair to be smoother and straighter' but if I'm honest I think that would be down more to hair masks rather than sprays. 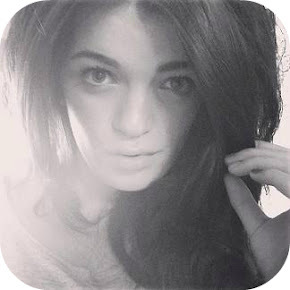 It leaves a lovely shine on the hair too as it hydrates throughout the day with the added Argan Oil. This is definitely a product I would re-purchase instead of other heat protection sprays and I would recommend this to people with thicker hair or hair extensions. 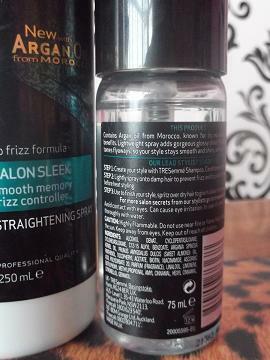 I've only briefly tried gloss sprays in the past, and that was from the Tigi Bed Head range. I didn't particularly like the texture as even the smallest amount seemed to make my hair greasy rather than glossy. This one I picked up from Tresemme is PERFECT. Even though it admittedly has a greasy formula it isn't one that makes your hair look unwashed. It's a double bonus product as it protects from frizz which makes it a perfect accompaniment to the straightening spray. Have you tried any great hair products recently? Let me know. thanks for sharing, dear :) it's really helpful!